This is my first E30 and I'll be improving it. Last edited by varg; 02-22-2018 at 10:45 AM. This week's project is the suspension. I removed the control arms and had a shop press new ball joints in and removed the bad wheel bearing (it was seized in there pretty badly, took some wailing on the slide hammer to get it out). I got lucky though and the hub came out of the bearing instead of the races separating. 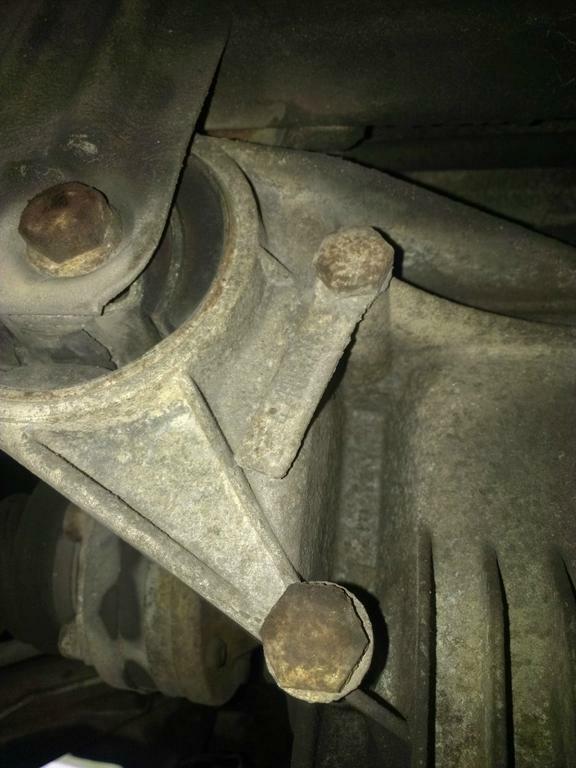 This part is a lot easier if you have an assistant sit in the car and step on the brakes for you while you break the bolts free, then let off to allow you to rotate the axle so that the next bolt is in an optimal position. Hub out, corrosion is evident. 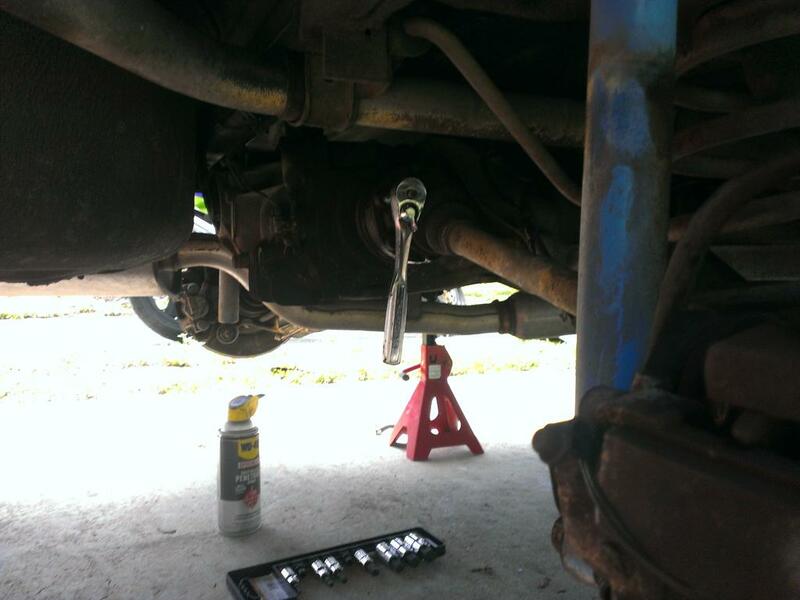 -The passenger side ball joint is a pain to get to. 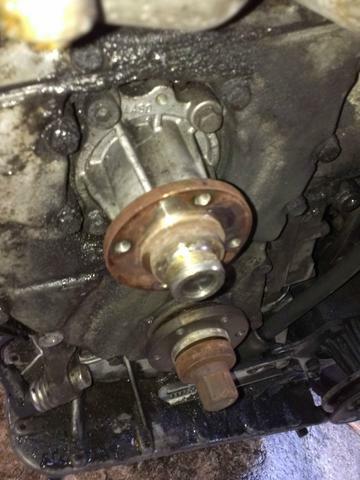 Remove the swaybar and the heat shield that is over the engine mount, undo the bottom nut on the mount and jack the engine up a couple of inches. Put a socket in between the engine mount and the crossmember and have at that upper ball joint with a 7/8"/22mm wrench. It will take a good amount of force to break it free. 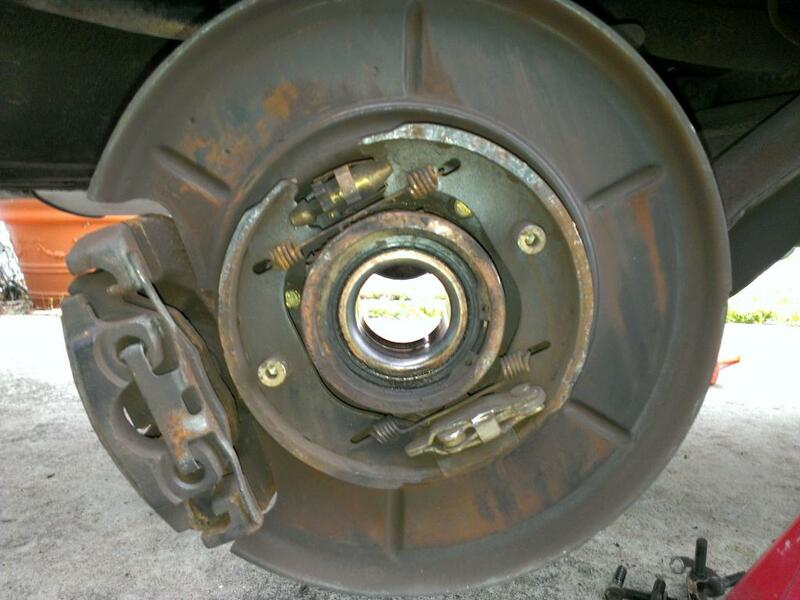 -You don't need to remove the parking brake components to do the wheel bearings, I have read people saying that you do. Use a pulley puller and a slide hammer to yank the hub; it will take some serious beating if yours is as seized as mine was. -You can rent the pullers and slide hammer at your local Autozone (deposit and return, no rental fee) Slide hammer part 27033, Axle bearing remover part 27129. I had my own "steering wheel puller" which I used in conjunction with the slide hammer to remove the hub, I also used it to push the axle out of the hub. -Lollipops come off the control arms easily with a 3 jaw puller, I wouldn't rent one of these if you don't have one. It's a useful tool to own. This won't be going back in. After de-greasing and removal of all of the pulleys. You don't need to pay $60 for piece of steel with holes drilled in it and a pipe welded to it if you have a MAPP torch, a good starter and a breaker bar. After trying to break the crank bolt free without heat several times, I broke out the torch and on the third bump after getting the bolt nice and hot it broke free. An easy way to do a job that gives a lot of people a lot of grief. It helps to not be rushing to get a car back on the road though, taking your time makes working on a car almost relaxing. As for doing big jobs on your only vehicle and being stressed; I've been there and don't want to do it again. After I finish fixing the oil leaks, it's time for this project to finally get interesting. If you can, post as much info on the MS build as possible. Going turbo? If you can, post as much info on the MS build as possible. Sure. 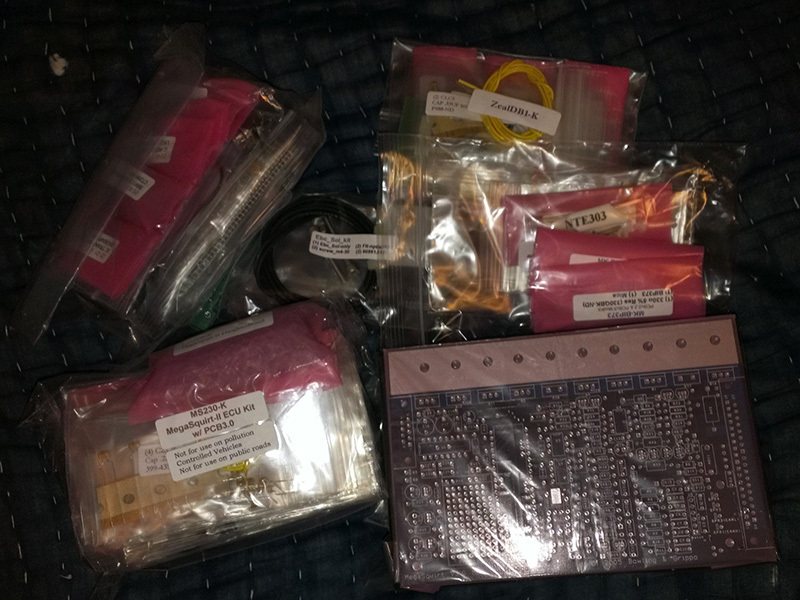 I'll start with saying that In that picture is an MS2V3 kit, a Zeal Engineering dual VR conditioner daughterboard, a boost control mod kit, 4 BIP coil drivers, a boost control solenoid and a JimStim kit. The Zeal daughterboard also has a PWM output suitable for an IAC valve so the PWM IAC mod is not necessary. The fuel injection will be paired batch fire run off of the stock MS outputs and the coils will be fully sequential as they are in the OEM application. If desired, one can also go a simpler route and use the 4 coil drivers to run the coils in wasted spark. Of course. That's the only way to go. Update! I'm way behind schedule due to waiting on parts and being busy in general. The car is currently up on stands with no transmission, exhaust or cylinder head. I'll be putting an aftermarket M20 clutch in it and building a turbo-back exhaust. The head is currently off being machined and cleaned to prepare it for an MLS gasket and ARP studs. The head had obviously been off the car before I got it since the profile gasket was in good condition, still flexible and no leaks. Everything looks to be in good shape. 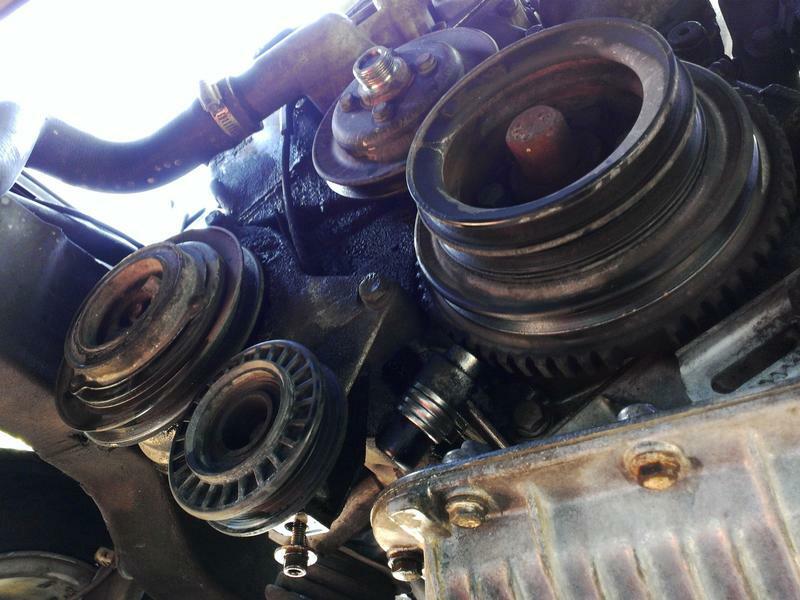 Today I'm finishing up on cleaning the deck and pistons, and removing the old clutch. Lots of work to be done! Last edited by varg; 08-07-2014 at 08:17 AM. Due to a rainy summer and having to wait for many parts, this project wound up so behind schedule it isn't funny. I was aiming to finish it before school started up again, because I knew once it did I would have hardly any time to work on it between work and school. Well, that didn't work out, and here I am, car up on stands waiting for me to finish the exhaust system, megasquirt and intake plumbing, and I'm uploading pictures that are months old. Clean and (relatively) fresh cylinder head. Re-installed with ARP studs and a .120 MLS headgasket. With the head surfacing that was done this will leave my compression at around 9:1. I installed a proper water pump with a metal impeller, replacing the one that was in the car which had a cracked crappy plastic impeller. This is where plans changed. I originally planned to invert the stock header and fabricate an adapter for it, running the turbo off of that and locating it right where the washer bottle used to go, but there was not enough room to do this. Since I was already over-budget and too crunched for time and money to build my own header, I bought one of these ebay M50 turbo headers. 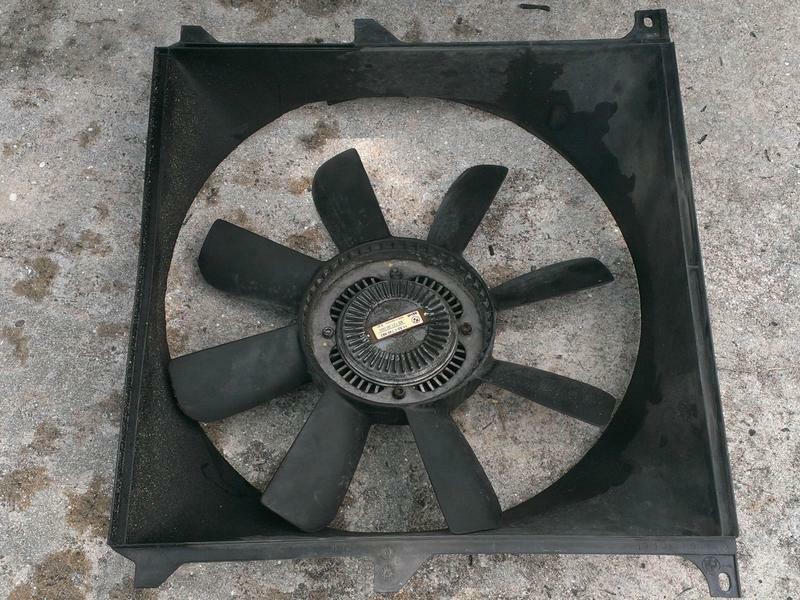 The quality of cheap ebay parts has improved since I last saw it in person back when I was building a Volvo 240 Turbo. As you may be aware, when you cut these down to fit an M42 they place the turbo in a bad spot and there is unfortunately not enough room to bottom-mount the turbo in the cars. This also means that an AC line must be removed and replaced with a custom one because it is in a bad place and interferes with the turbo. This was in the middle/end of September. Looking for late model fogs, E39 Fog lights, cool cheap 17 5x120 wheels. All about the sleepers. Very cool. Time for a big update. I'm just about done with the project, the car just needs to be tuned now. As for how long this took, well, it's a long story. I'm not a fabricator and only have the budget for FCAW, elitists and "pros" please contain your snide. I will post the charts you see in the background later, I used these for making the adapter and wiring the MS mods. I'm going to try to make as much information as possible available on the setup of megasquirt for an M42, because there is very little info on doing it out there. It would be a very difficult task for someone new to MS.